Looking for a unique opportunity? 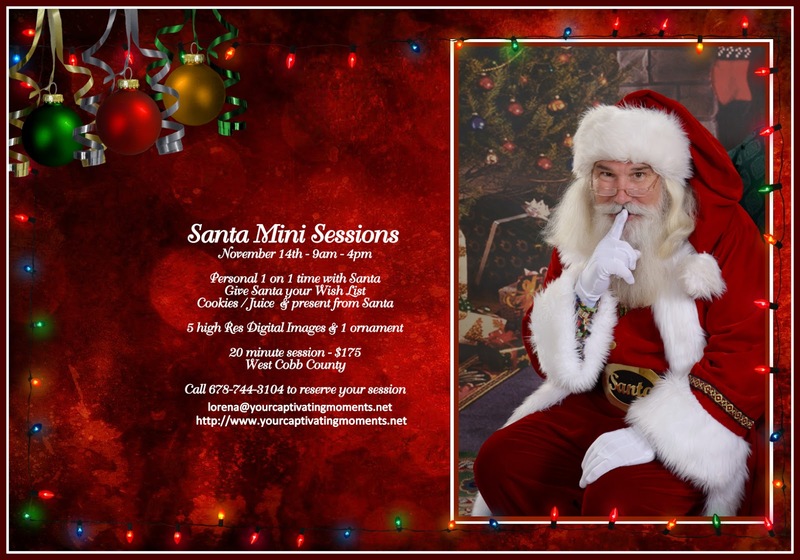 How about a stress free photo session with Santa! 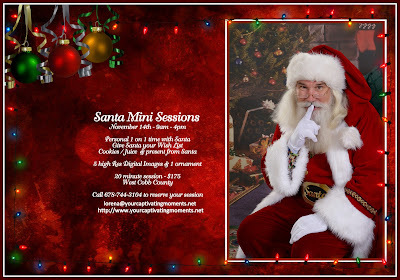 You will avoid the lines at the mall and your child/children will have time to actually visit with Santa. Session times will be scheduled in advance for November 14th – 9am to 4pm. Call or email today to book your session. Your little ones get to share their wish list with Santa, receive a special present and have juice and cookies. You get 5 high resolution digital images and a Christmas ornament. The images are perfect for use with Christmas cards and keepsakes.